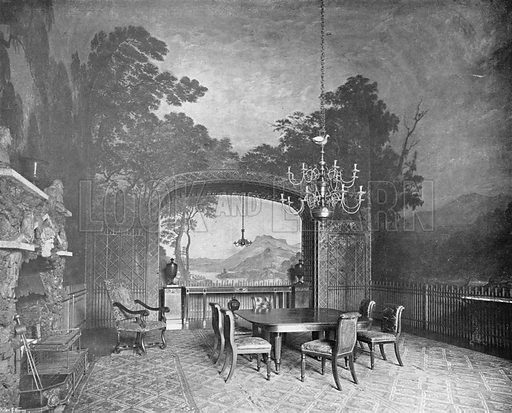 Drakelow Hall: The Painted Dining-Room. Photograph in In English Homes Vol 1 (Country Life, 1904). Available worldwide for immediate download up to 4,454 x 3,592 pixels.